• Does the content give reason for users to spend time reading the content of the pages? • Does the content offer value or substance to users? Is it different, unique, and useful? 2. CR: This one stands for Content Research. Content research, or keyword research, helps in the way that one gets to discover how people are searching for that content and all its specifics. These keywords can then be utilized in content making and take full advantage of all the benefits where the more relevant the content to the keyword, the more often it will appear in the generated search list of search engines. 3. CW: This stands for Content Words. 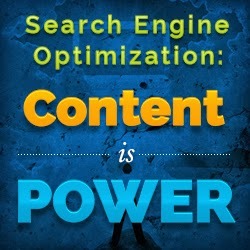 AS mentioned above, the results of the keyword or content research can be taken advantage of. The reason for using keywords is so that the search engines can find your webpage, provided that its content is relevant to the search query. So using the specific keywords in content will determine its search-ability in the text-based algorithms of search engines. There isn’t a specific keyword density in the equation so the tip would be to integrate the keywords in the most natural way possible. 4. CE: This stands for Content Engagement. By engagement, it can mean the amount of time users stay on the page, how much they interact through social gestures of leaving comments, sharing and liking, or both. The content must engage users so that they stay a substantial amount of time on the site and not bounce out of it within a few seconds. 5. CF: This stands for Content freshness. This freshness means that the content should not be stale and should be updated regularly to keep interest amongst users.